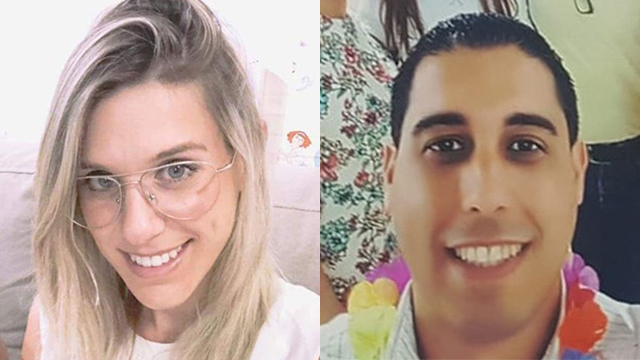 Since the Palestinian terror attack at the Barkan Industrial Park on Sunday that killed two Israelis, Kim Levengrond Yehezkel, the mother of an infant, and Ziv Hajbi, a father of three, Times of London’s Jerusalem correspondent Anshel Pfeffer published two articles: both concerning fraud charges against Sara Netanyahu. 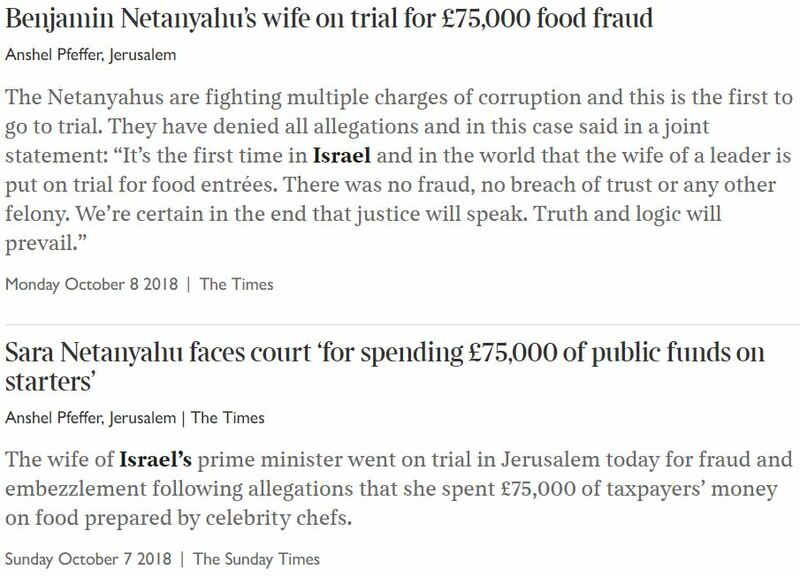 Times of London articles by Anshel Pfeffer, Oct. 7th and Oct. 8th. 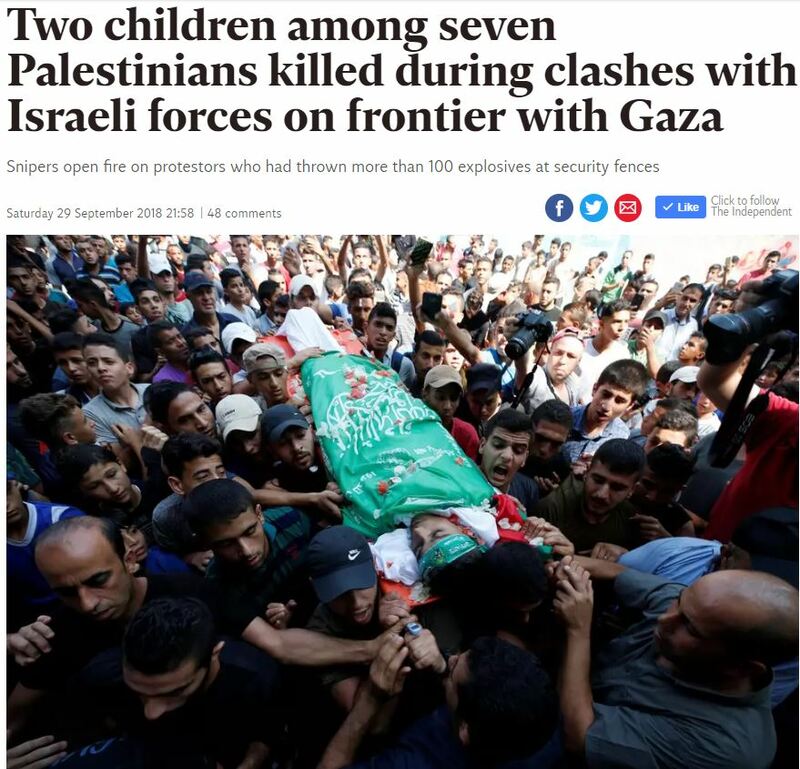 But, neither Pfeffer nor any of the paper’s other regional correspondents published anything on the deadly West Bank terror attack. The Telegraph’s Jerusalem correspondent, Raf Sanchez, published an article this morning on the row between Turkey and Saudi Arabia over the missing Saudi journalist, and another regional correspondent published an Israel related story – regarding Netanyahu’s scheduled meeting with Vladimir Putin. However, as with Times of London, nothing has been published by any of the Telegraph’s reporters about the Barkan terror attack. 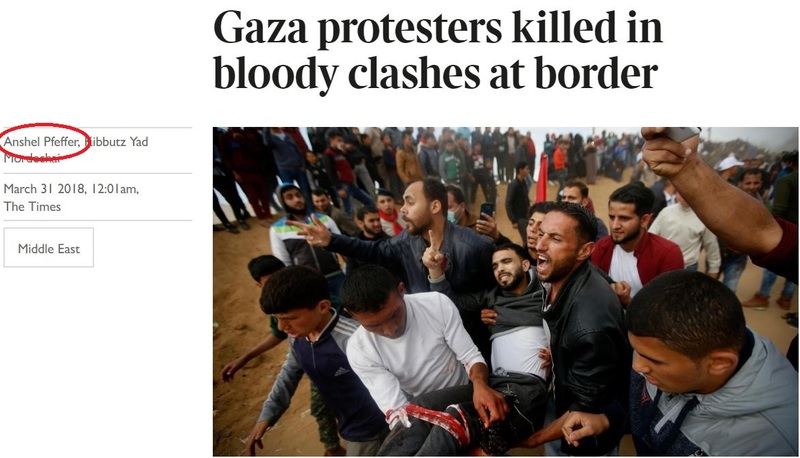 The Independent published an article on the day of the attack about new Israeli restrictions on Gaza’s fishing zone, but nothing on the Palestinian terror attack, despite the fact that the Indy has a Middle East correspondent, Bel Trew, who covers Israel and the Palestinian territories quite extensively. 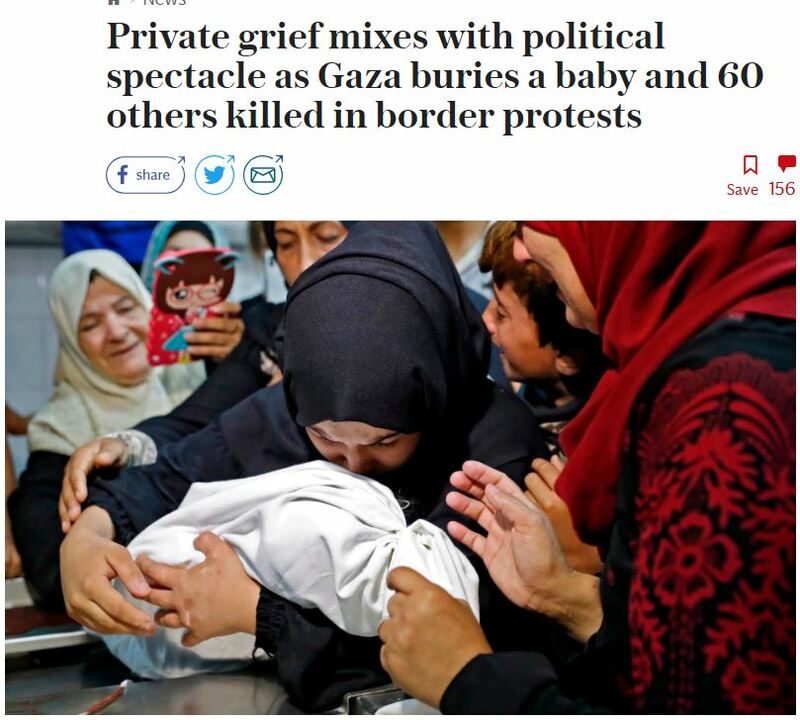 In addition to ignoring Sunday’s deadly attack, by 23-year-old Walid Suleiman Na’alowa, a colleague of the victims at the Barkan plant, Times of London, The Telegraph and Independent have something else in common: they all similarly ignored the Palestinian terror attack on Sept. 16th at Gush Etzion Junction that killed Ari Fuld, a father of four from Efrat. 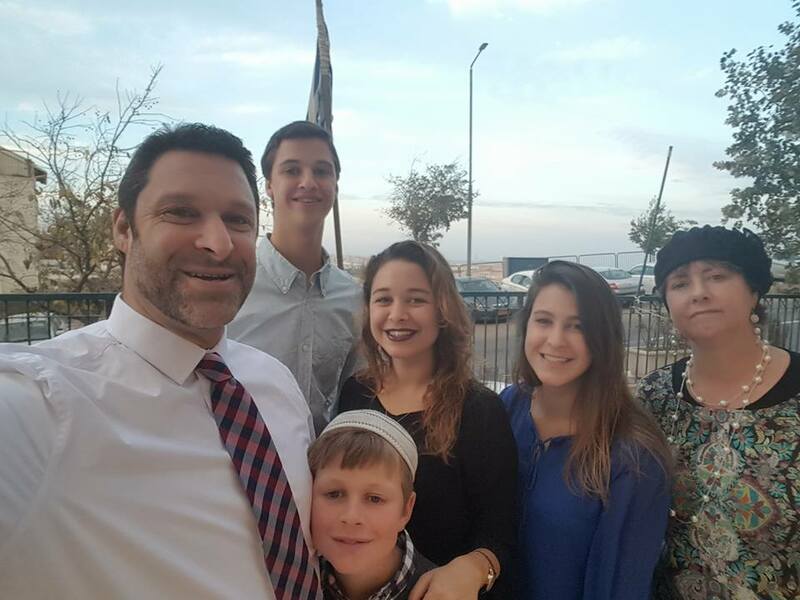 The Guardian published an AFP article on Sunday about the Barkan Industrial Park attack – though nothing on the murder of Ari Fuld. In contrast, the Daily Mail – as with the BBC – eventually covered both terror attacks. Beyond the question of journalistic priorities on the day of, and first few days following, the attack, it’s telling that all of the media outlets cited have, over the course of the past six months, more often than not, devoted coverage to Palestinian injuries and deaths related to the weekly violent border riots – many which included highly evocative photos from the scene.